Last year the Chinese navy surpassed the United States' own in size, and now Western military analysts are taking note that a new modernization program of its ships and weapons systems have given China significant and distinctive deterrence capabilities in disputed areas of the South China Sea and around Taiwan. A new, detailed New York Times assessment of China's astronomical recent growth and advancement as a foremost naval power laments this is something that's "shifted the balance of power in the Pacific in ways the United States and its allies are only beginning to digest". The NYT report sounds the alarm that while US naval firepower remains superior if not spread a bit thinner than China's expanding fleet, American ships can no longer maintain global dominance of Pacific seas with ease: "That means a growing section of the Pacific Ocean — where the United States has operated unchallenged since the naval battles of World War II — is once again contested territory, with Chinese warships and aircraft regularly bumping up against those of the U.S. and its allies." This is a trend also recently acknowledged by the new commander of the U.S. Indo-Pacific Command; “China is now capable of controlling the South China Sea in all scenarios short of war with the United States,” Adm. Philip S. Davidson stated as part of his Senate confirmation process in March. Adm. Davidson explained in written statements submitted to Congress at the time that China is developing “asymmetrical capabilities,” in areas of sophisticated anti-ship missiles and submarine warfare. “There is no guarantee that the United States would win a future conflict with China,” he concluded. This comes as more detailed reports have surfaced over the past year confirming that China is fast militarizing its rapidly expanding set of man-made islands in the South China sea while using such a "land presence" to lay claim to both international waters and airspace. Beijing's so called "nine-dash line" encircles as much as 90 percent of the contested waters in the South China Sea and runs up to 2,000 kilometers from the Chinese mainland and within a few hundred kilometers of Malaysia, Vietnam, and the Philippines — all within this vaguely defined zone Beijing claims as within its "historical maritime rights". The UN estimates that one-third of global shipping passes through the expansive area claimed by China — and crucially there's thought to exist significant untapped oil and natural gas reserves. The Chinese Navy has had increased hostile incidents bumping up against Philippines' forces, and has recently on multiple occasions attempted to warn off US surveillance aircraft under threat of possible attack. When two American warships — the USS Higgins, a destroyer, and the USS Antietam, a cruiser — sailed within a few miles of disputed islands in the Paracels in May, Chinese vessels rushed to challenge what Beijing later denounced as “a provocative act.” China did the same to three Australian ships passing through the South China Sea in April. Chinese war games in the area have also been on the rise, which allows the People's Liberation Army (PLA) to show off a variety of its new and advancing hardware. 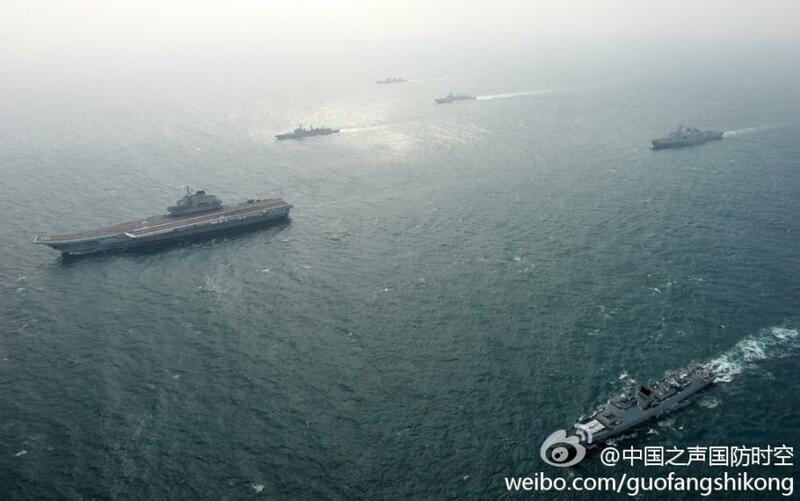 “The task of building a powerful navy has never been as urgent as it is today,” President Xi Jinping declared in April as he presided over a naval procession off the southern Chinese island of Hainan that opened exercises involving 48 ships and submarines. The Ministry of National Defense said they were the largest since the People’s Republic of China was founded in 1949. Even as the United States wages a trade war against China, Chinese warships and aircraft have picked up the pace of operations in the waters off Japan, Taiwan, and the islands, shoals and reefs it has claimed in the South China Sea over the objections of Vietnam and the Philippines. In spite of repeat promises going back to the Obama administration that China would not militarize the South China Sea through its series of man-made islands, Beijing officials have recently brazenly admitted to deploying missiles there. Last June, upon Defense Secretary Jim Mattis' to Beijing, President Xi bluntly warned him that China would never yield “even one inch” of territory it now claims as its own. 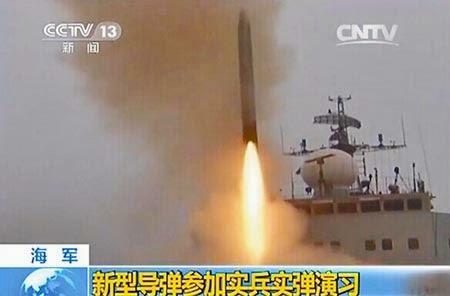 China’s YJ-18 anti-ship missile, recently featured in state media, is a game changer in the Pacific. China's navy has been rapidly growing since 2000, and compliments an already huge over 2-million strong PLA troop fighting force. While the sheer size of China's military was never a pressing concern so long as technology and military hardware lagged behind, that appears to have changed drastically over the past few years. "Carrier killers": an arsenal of high-speed ballistic missiles designed to strike moving ships. The latest versions, the DF-21D and, since 2016, the DF-26, are popularly known as “carrier killers,” since they can threaten the most powerful vessels in the U.S. fleet long before they get close to China. 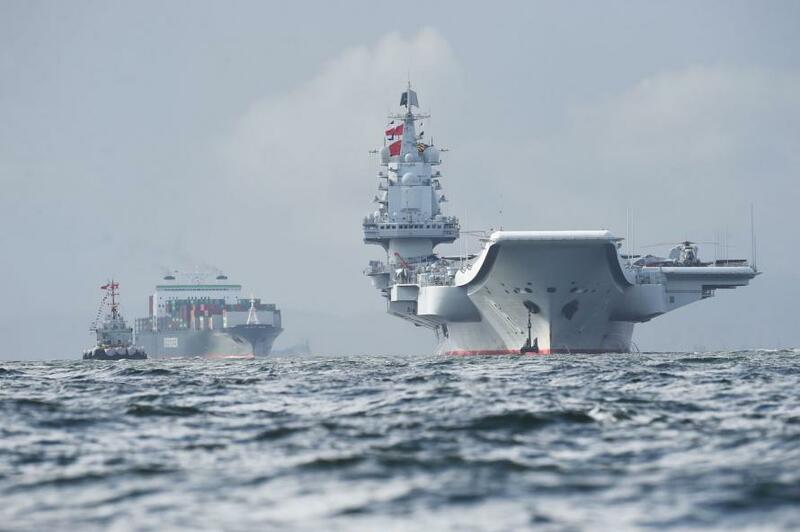 A second aircraft carrier, with plans for a third: The aircraft carrier that put to sea in April for its first trials is China’s second, but the first built domestically. It is the most prominent manifestation of a modernization project meant to propel the country into the upper tier of military powers. Only the United States, with 11 nuclear-powered carriers, operates more than one. Increased power projection with the above new anti-ship warfare capabilities: The Chinese military, traditionally focused on repelling a land invasion, increasingly aims to project power into the “blue waters” of the world to protect China’s expanding economic and diplomatic interests, from the Pacific to the Atlantic. More warships in operation than the U.S. Navy: Last year, China counted 317 warships and submarines in active service, compared with 283 in the U.S. Navy, which has been essentially unrivaled in the open seas since the collapse of the Soviet Union in 1991. 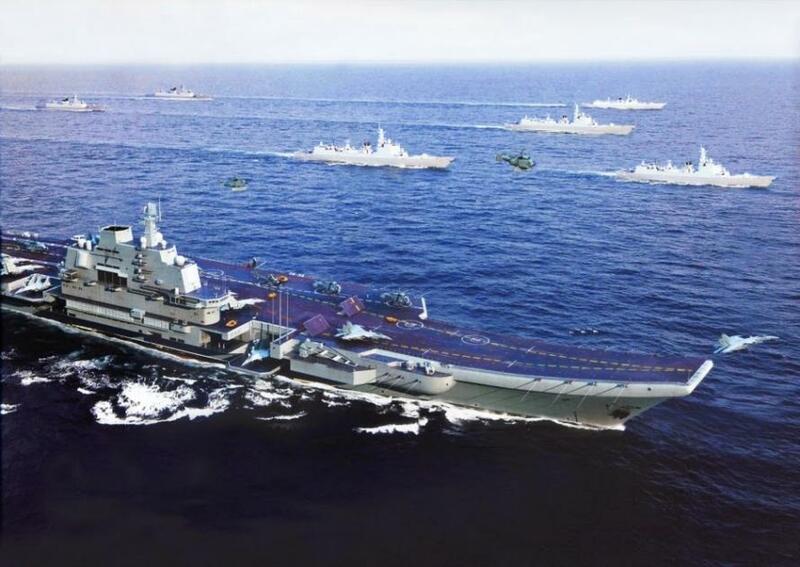 No doubt, the world will soon hear about more Pacific seas incidents between the United States and China, as the US both tests China's resolve, and as the latter continues to stake out its territory.